Amy earned her Bachelor of Science in Exercise Physiology with minors in Psychology and Dance, from Ohio University in 2004. Amy then earned her Master of Occupational Therapy from the University of St. Augustine in 2006. 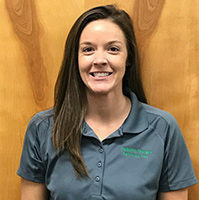 Since graduation, Amy has gained experience as an OT in outpatient and Inpatient Pediatrics, the school systems, upper extremity orthopedics, as well as adult acute and subacute inpatient therapy units. Amy is a certified feeding SOS feeding therapist, certified in kinesiotaping, and certified AOTA academic fieldwork instructor. Amy’s greatest achievement in OT is changing the lives of the patients and families to live their lives to the greatest potential. Amy is a military spouse, that enjoys exploring and adventure with her family, travel, cooking, and dance/fitness. Jen earned a Bachelor of Health Science degree and a Master of Occupational Therapy degree at the University of Florida. She joined the PTS team in March 2016. Through graduate school and her clinical fieldworks, Jen knew her passion was to work with children, and to incorporate animals into the therapy process. Jen enjoys working with children and their families in achieving their goals to become independent, and to live life to the fullest, When not at PTS, Jen can be found at the barn with her horse, Forest, preparing for horse shows and competitions. Her hobbies also include photography and spending time with her family. 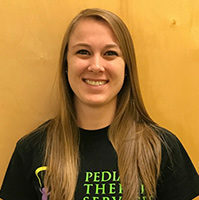 Chelsea received her Bachelors of Science degree in Health Science from Lock Haven University in December 2011, and her Doctor of Physical Therapy degree from the University of South Florida in August 2016. 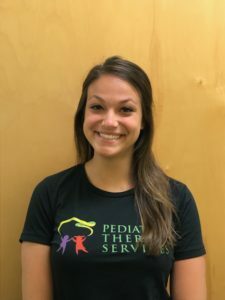 Chelsea spent her final clinical rotation as a student at Pediatric Therapy Services, Lakeland where she realized she wanted to pursue a career in pediatrics. She was thrilled to have been given the opportunity to return to PTS after graduation to join the team as a licensed professional! 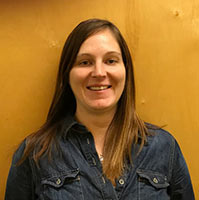 Outside of work, Chelsea enjoys traveling with her husband, taking her dogs, Gilbert and Jarvis, to the dog park, watching movies, and going to theme parks and concerts. 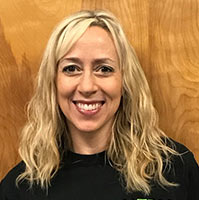 Therese received her Bachelors of Health Science from the University of Florida in May 2012, and her Doctorate of Physical Therapy at the University of Central Florida in May 2016. She loves being on a team of great therapists at PTS as she feels a unique, collaborative approach really maximizes gains for all of the children. Along with the many amazing moments in this job, her favorite thing about working with population is seeing the pure joy and sense of accomplishment on both the patients and their guardians faces when a new skill or goal has been achieved. In her spare time, Therese enjoys the beach, running, listening to music, and watching Gator football. 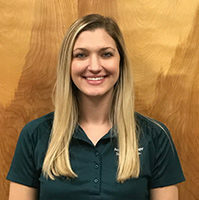 Lauren completed her BA in Communication Sciences and Disorders at the University of South Florida in 2014 and graduated from the University of Central Florida with her MA in Speech Pathology in 2016., She has gained clinical experience in the school setting as well in the clinical setting. Lauren enjoys treating pediatric clients with various diagnoses from diverse cultural backgrounds. Lauren strives to collaborate with OT and PT to create a comprehensive approach when treating clients. Lauren is a native Floridian who enjoys spending time with family and friends, going to concerts, the beach, and the movies. She also enjoys sports (football and baseball), cooking, and doing outdoor activities such as fishing and boating. Angelina received her BA in Psychology from the University of South Florida, and then completed her Masters in Communication Sciences and Disorders in 2016, also at USF. She has gained experiences from various school settings as well as a traumatic brain injury facility with adults and children. She enjoys collaborating with other disciplines to ensure maximal progress in each individual child, and that is why she loves working at PTS! During her free time, Angelina likes to read, spend time with family, and engage in outdoor activities in the beautiful Florida weather. Jenna earned a Bachelor of Science in Communication Sciences and Disorders from the University of Cincinnati in 2012 and graduated with a Masters in Arts in Communication Sciences and Disorders from the University of Central Florida in 2015. 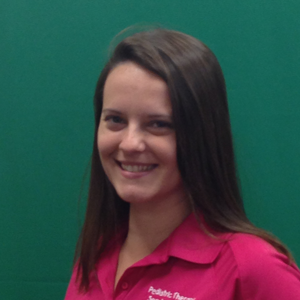 Jenna has experience working with pediatrics in the school and private practice setting. 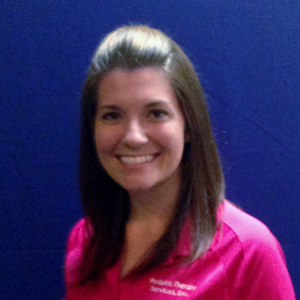 Jenna values working with her patients one-on-one to provide individualized therapy. In her free time, Jenna enjoys watching football, reading, singing, and spending time with her family and friends. Vickie received her Associate of Science in Physical Therapy Assisting from Keiser University. Vickie additionally holds a Bachelor of Arts in Psychology with a minor in Religion and a Master’s in Business Administration from The University of Tampa. She began working with children at a day care while in college then, became a Respite Care Worker, and coached girls’ competitive soccer for 10+ years. Vickie was first introduced to PTS as a Student PTA Intern and quickly fell in love with the patients, their families and the staff. She enjoys reading, watching movies, kayaking, attending various sporting events and spending time with her family. 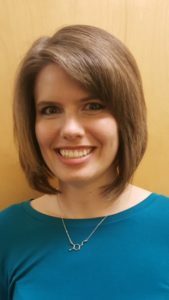 Jen is a graduate of West Virginia University and holds a degree in Sociology and Anthropology. After college she spent several years as an officer in the U.S. Air Force. 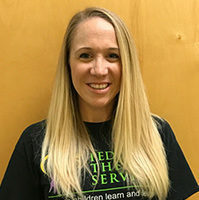 She came to work at PTS after seeing what wonderful services they provided to one of her own children, and believes wholeheartedly in helping kids “be their best!” Jen enjoys spending time with her family and lots of outdoor activities in the Florida sunshine. 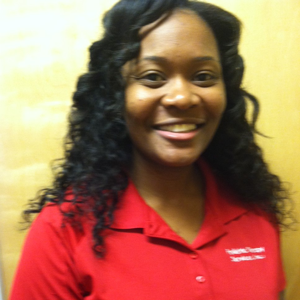 Tierra received her Master of Science in Occupational therapy from Alabama State University in Montgomery, Alabama. She received her undergraduate degree in Biology at Florida Southern College in Lakeland, FL. Tierra discovered her passion to work with children while volunteering at Pediatric Therapy Services in Lakeland, FL while attending Florida Southern. Tierra was born and raised in Tampa, FL. Nikki graduated from Florida State University with a Master of Science Degree in Communication Sciences and Disorders. 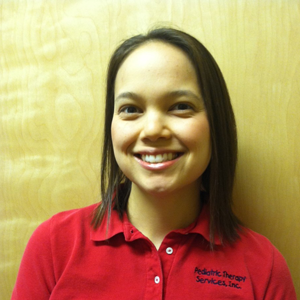 Nikki has worked in a variety of pediatric settings and has been with PTS since 2002. Nikki specializes in treating all different types of children with language/feeding disorders. She enjoys helping families become successful through her guidance with bottle and breast feeding. Nikki believes that by working together the family, child and therapy team will be successful. Nikki shares her knowledge and experiences through mentoring as a clinical supervisor for SLP’s during their clinical fellowship year. Nikki enjoys reading, movies and all dogs. Cindy holds a BS from St. Cloud State and graduated from the University of North Dakota with her Physical Therapy degree. 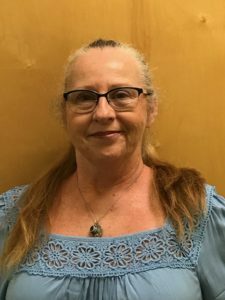 Cindy has worked in varied settings treating children and adults in state institutions, pediatric clinics, nursing homes, and within the school system. Cindy joined PTS in 1994. 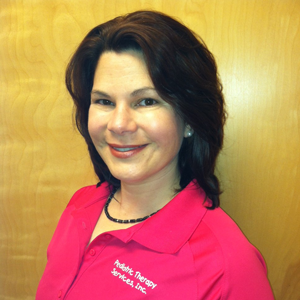 Cindy is NDT trained in Pediatrics, trained in the TheraSuit Method and in Kinesiotaping. 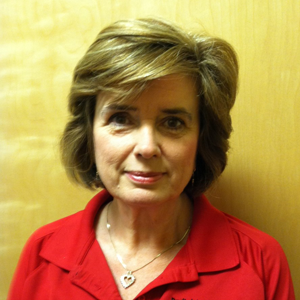 Cindy is a clinical instructor for physical therapy students completing their final rotations prior to graduation. Cindy has enjoyed watching the PTS clinic grow over the years. She loves to travel and work on home remodeling projects. 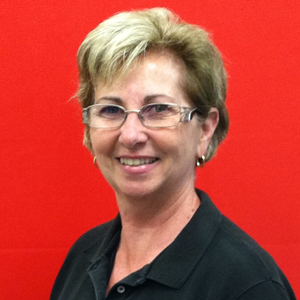 Denise attended Grove City College in Pennsylvania and hails from Pittsburgh PA. Denise joined the PTS team in 2006. Denise manages the demands of the ever revolving therapist schedule while welcoming families and handling paperwork with efficiency. Denise enjoys working with her fellow PTS team and chatting with parents and families. When not at work Denise enjoys reading and traveling to meet with family and friends. 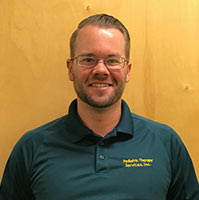 Graham has a Bachelor of Science Degree in Business Administration/ Financial Management from Florida Southern College. He is in his 11th year working with PTS. Graham enjoys cooking, reading, outdoor activities, spending time with family and friends, and watching sports with his daughter! Gail joined the PTS team in 2007. Gail balances the many demands of the front desk while greeting families, children and staff with warmth and respect. She offers nurturing to everyone, growing the family concept that PTS strives for. Gail enjoys her interactions with children, families, and staff. She has learned so much from her interactions with the therapists and finds their jobs fascinating. Outside of her clinic, Gail enjoys being with her family and friends. Carrie received her Masters of Communication Sciences and Disorders from the University of South Florida. Carrie has worked for PTS since 2010. Carrie’s approach to therapy differs with every child she sees. She works to use the interest of each child to make therapy an experience which the child will enjoy and want to engage in. She finds that the more excited and engaged a child is in a topic or activity the better they respond to new opportunities/challenges. Carrie enjoys spending her free time with her son, Clayton, and also with family and friends! Colleen completed her Masters in Occupational Therapy at the University of Florida. Go Gators! Colleen has experience working in a variety of settings including a skilled nursing facility, rehabilitation hospital and pediatrics. She has been a treating therapist since 2011 and has found her home in pediatrics. 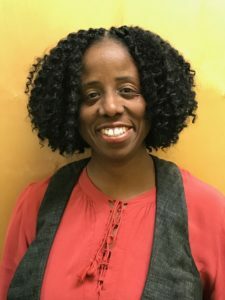 She uses a holistic approach in treatment and embraces techniques from other disciplines. In her spare time, she enjoys spending time with her husband, exercising, watching football and cooking. Emie received her Bachelor’s degree in Speech and Hearing Science and Master’s in Speech-Language Pathology from Ohio State University. She has been a PTS team member for almost 5 years. Emie’s areas of interest include early language development, alternative and augmentative communication, and literacy. Emie enjoys running, cooking, reading and playing with her two cats Minnie and Mickey. Erica graduated from the University of South Florida with a Master of Science Degree in Communication Sciences and Disorders. 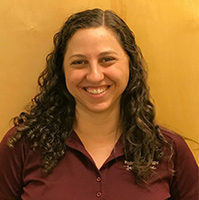 Erica has been working as a Speech Language Pathologist since 2012 and has experienced in the charter school setting, nursing home setting and the private practice setting. Erica is currently certified by the American Speech-Language and Hearing Association. Erica enjoys treating a variety of children with various diagnoses. 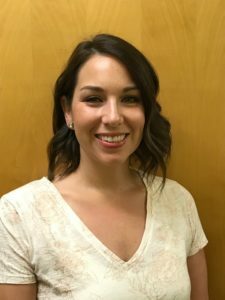 Erica utilizes a holistic approach when treating her patients and incorporates techniques from other disciplines whenever possible. Erica has a passion for helping others and truly enjoys working with the pediatric population. As a native Floridian, she enjoys activities such as boating, exercising, photography, spending time with family and attending sporting events. Diana received her Bachelors of Health Science in 2004 and Masters of Occupational Therapy from the University of Florida in 2005. Diana has 11 years of pediatric experience treating children with varied diagnoses. Diana is certified in Sensory Integration techniques and in the administration of the SIPT. Diana shares her pediatric knowledge by mentoring future Occupational Therapists. Diana enjoys cheering on Gator athletics and playing outside with her children on sunny Florida weekends. Kelli graduated from the University of Florida (Go Gators!) with her Masters of Occupational Therapy. She has been working at Pediatric Therapy Services since 2010. She also spent a brief 5 months where she taught English in China. Kelli enjoys assisting kids and their families in achieving their goals to live life to the fullest. Kathy attended Ball State University in Indiana moving to Lakeland in 1978. Kathy has made her professional home with PTS for over 20 years. Kathy is certified in Medisoft and continues her education in trainings for management, billing, and coding. Kathy works tirelessly to insure that PTS is aware of any changes in requirements that affect the overall ability of PTS to help children and families. 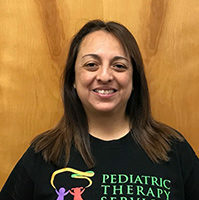 Kathy enjoys seeing the PTS therapists guiding the children as they work to meet their goals and enjoys being able to help others succeed in their lives. Kathy’s special interests include running, gardening, art, her church and missions. Trista graduated from Misericordia University in Dallas, PA where she received her Masters of Science of Physical Therapy. 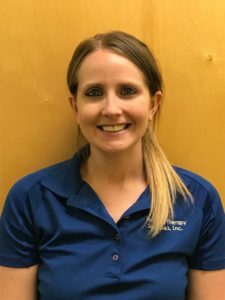 Trista has 14 years of varied experience with 11 years of it in pediatrics. Additional setting included: spinal cord, inpatient hospital, outpatient orthopedics, and aquatics. Trista loves working with children helping them learn new movement and abilities through play. Trista strives to make treatments fun and functional so that they will carry into the child’s life. She enjoys working with the child’s entire family teaching them ways to incorporate activities into their daily routine. The best reward for Trista is when a child learns independence and shows pride in their achievements. Trista enjoys spending time with her two sons as they learn and grow. Trista enjoys the outdoors and takes advantage of the Florida weather as a runner. Trista has lived in 6 states and has made Florida her permanent home with her family. Navneet received her Bachelor of Science Degree in Physiotherapy from University of Delhi, India and Master of Science in Kinesiology from Texas A&M University, College Station. Navneet has experience in a variety of settings including inpatient and outpatient adult, geriatrics and pediatrics. She has worked in pediatrics for 8 years. Her experience spans children 0-3 years in home and community settings under the New York State Early Intervention system and in outpatient pediatrics with PTS since 2012. 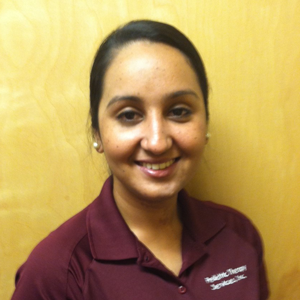 Navneet is an active member of the American Physical Therapy Association and the Society for Neuroscience. She has conducted a research study and has done poster presentations at the Society for Neuroscience annual meetings. Navneet sees every day as an exciting opportunity to learn and grow in her treatment practices. In this way she is able to better help her patients and their families overcome challenges and build successes. Navneet enjoys listening to music and traveling. Stacie received her Bachelors of Science degree in Psychology at the University of Florida in May 2007 and her Doctor of Physical Therapy at the University of North Florida in April 2010. 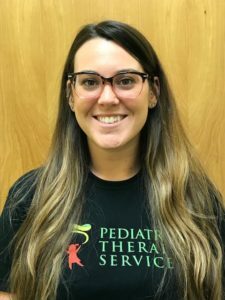 Stacie has experience in various settings including the Hillsborough County School System and her favorite setting, outpatient pediatrics. 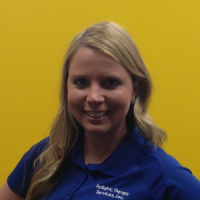 She found her way to Pediatric Therapy Services, Inc in June 2013 and truly enjoys working as a part of the PTS team. 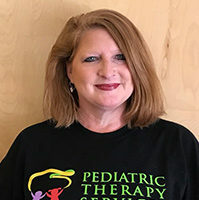 Stacie enjoys treating children of all ages and all diagnosed with compassion, a positive attitude, and a well-known “cheer” for therapy accomplishments, big and small. Outside of the clinic, Stacie enjoys sporting events with her husband (Go Gators), spoiling her dog, Percy, baking treats, taking pictures, party planning, and crafts inspired by Pinterest. Kim received her Bachelors of Health Science from the University of Central Florida in Orlando, FL. 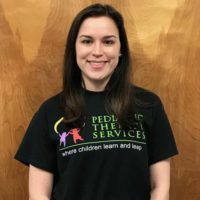 After obtaining her bachelor’s degree, she worked with children in the school and home environments which led her to the field of occupational therapy. She then went on to graduate with her Doctorate of Occupational Therapy from Nova Southeastern University in Tampa, FL. Through these experiences, Kim discovered her passion was working with children and helping them live their lives to the fullest. She has worked in the public school setting, as well as pediatric home health, treating children with varied diagnoses. She has taken continuing education in various pediatric techniques including Handwriting without Tears and Interactive Metronome as well as multiple state/national conferences. Outside of work, Kim enjoys spending time with friends and family, playing with her dogs, traveling, cooking, and going to Disney World! 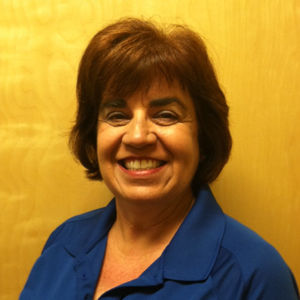 Barbara comes to PTS with previous experience working in a pediatric medical office. She enjoys traveling and sightseeing with her husband. Europe is one of her favorite places to visit. She also enjoys photography, gardening, spending time at the beach, and trying new restaurants. 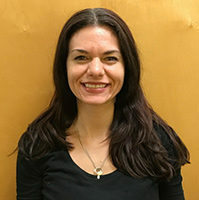 Nadia earned her Bachelor’s degree in Child Psychology from Florida State University and her Doctorate of Physical Therapy from Nova Southeastern University in May 2017. Nadia spent her second clinical rotation as a student at Pediatric Therapy Services, Brandon where she confirmed that she wanted to pursue a career in pediatrics. She loves the team approach to treatment at PTS and values the mentorship that more seasoned therapists provide her as she grows as a professional. Outside of the clinic, Nadia enjoys spending time outside with her husband and boys and working on projects around the house. 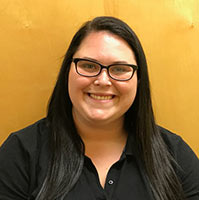 Marlee earned her Bachelors of Science in Communications Science and Disorders from the Florida State University and Masters of Science in Speech-Language Pathology at the University of South Florida. 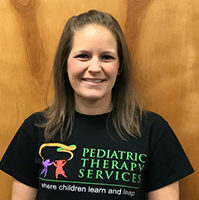 Marlee loves being part of the team at PTS as it gives her the ability to collaborate with all the disciplines to ensure her kiddos get the best possible care! She enjoys treating the children individually as it allows her to get to know each one on their own and learn what works for them personally. In her free time, Marlee loves to spend time with her family (she is 1 of 7 kids), exploring parks and farmer’s markets outside in the Florida sunshine and cheering on her Seminoles! 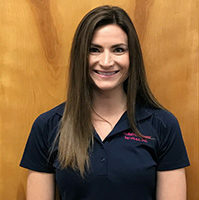 Jessica graduated from the University of South Florida with a Bachelor’s Degree in Public Health and went on to receive her Doctorate of Physical Therapy at Nova Southeastern University in Fort Lauderdale, Florida. 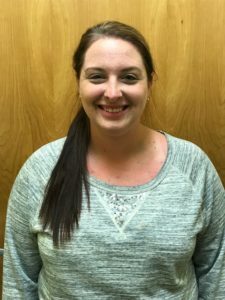 Jessica has always enjoyed working with children of all ages and wanted to pursue a career in pediatrics. In her spare time she enjoys spending time with her husband, family, friends, and 2 dogs. projects for the historical urban neighborhoods in Tampa. Olivia is originally from Huntsville, AL. She did her undergraduate work at Oakwood University, majoring in Music Performance, Piano, and then switched gears to receive her Master’s Degree from The Ohio State University in Speech and Hearing Sciences. She has been a practicing Speech-Language Pathologist since 1991. Her experience spans a variety of age groups with various needs. She is married to a wonderful husband, Bruce, and has two beautiful children, Erika, age 14, and Elijah, age 11. She enjoys playing the piano, singing, listening to music, bowling, swimming, traveling and spending time with family. Brooke earned her Bachelors in Applied Physiology and Kinesiology from the University of Florida in 2016. She is currently pursuing her Masters of Occupational Therapy online at the University of St. Augustine. Brooke plans to work in the pediatric setting upon graduating. Brooke likes to spend time with her family, go to the beach, travel and read. A fun fact about Brooke is that she is scuba certified.